David Ortiz went on a rant Monday after helping the Sox reach .500 for the first time this season. The topic? How he gets no respect. Cue Aretha Franklin. McGILLIGAN: A short while after reaching the .500 mark with an 8-6 win against the Baltimore Orioles on Monday, the wheels seemed to come off again for the Boston Red Sox. The normally calm, cool and collected David Ortiz let loose a rant in his postgame interview deriding management and the media. It seems every time it looks like the Sox are about to turn the corner, something bad happens (Cody Ross is out 6-8 weeks with a fractured bone in his foot). Ortiz seemed to take offence to not being seen as a leader of the team. The outburst came after a question concerning a team meeting that took place in the wake of GolfGate involving Josh Beckett. He then spoke about him not being seen as a good leader or the team being without one since the retirement of veteran players Tim Wakefield and Jason Varitek. Only time will tell if this outburst is a good thing. 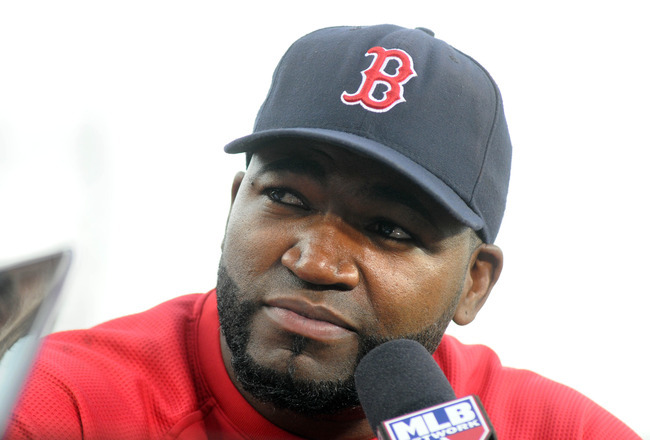 Perhaps Big Papi just needed to vent and maybe it will solidify him as the public face of the team. He along with Dustin Pedroia is the backbone of the squad and Ortiz has been crushing the ball so far this season. That’s the positive outlook. The negative view is the Sox have unraveled to the point its upset even the most unflappable of players in Ortiz. While this season may be hard to watch for Sox fans, it’s never dull. If I have to choose one, I’m going to be an optimist and say the Sox are starting to get it together and Ortiz is simply asserting himself as the Alpha Dog in the room, inviting any future problems be directed to him, leaving his teammates to go about their business. This is what Pedroia did for Kevin Youkilis in the wake of Bobby Valentine’s comments and what someone should have done for Beckett, rather than let him open his mouth and dig himself deeper. While it’s been tough watching the Sox struggle, it’s great to see more Yankees implicated in the steroid scandal during the Roger Clemens trial. Clemens former trainer added two more names to the list of Yankees who allegedly cheated/disgraced the game/tarnished an era/made Baby Jesus cry (the last is probably too far) in Chuck Knoblauch and Mike Stanton. In the case of Knoblauch, what we’ve learned is that taking steroids gives second basemen the yips. I fully expect this trial to claim even more players in collateral damage. For instance, I think we’re days away from hearing that the trial has upset Mark Texeira to the point that he’s lost his stroke.